There is one skill that I have wanted to learn for a while now, and that is brush lettering. It looks so beautiful, and the people who can do it make it look so easy, although after having tried a couple of attempts on my own I can assure you it's not. I'd love to be able to use it in my bullet journal to make my pages look a bit fancier, and I hope that with a bit more practice I will be able to. 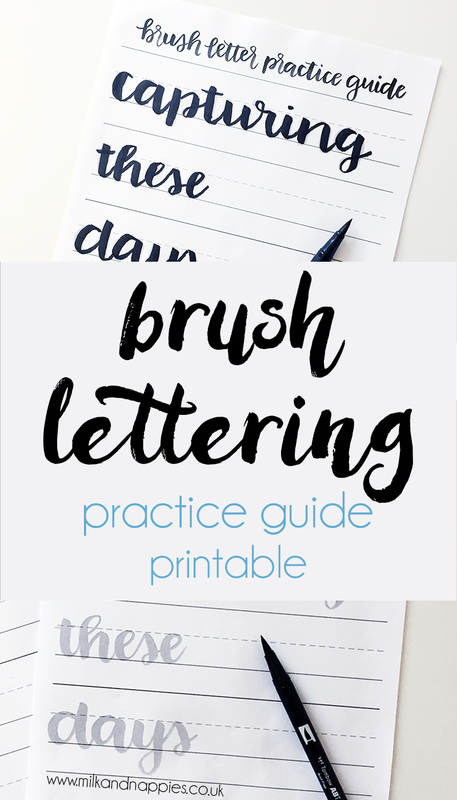 About a month ago I was contacted by the lovely Olivia from Random Olive who has created a guide to help people get started with their brush lettering. She kindly offered to create a unique printable exclusively for the readers of my blog to download for FREE with a phrase of my choice. Of course I took her up on her offer, and chose the phrase 'capturing these days' which is the hashtag for my new Instagram community. If you would like to download this printable please complete the form below and a digital version will be emailed to you, which you can then print out as many times as you like! 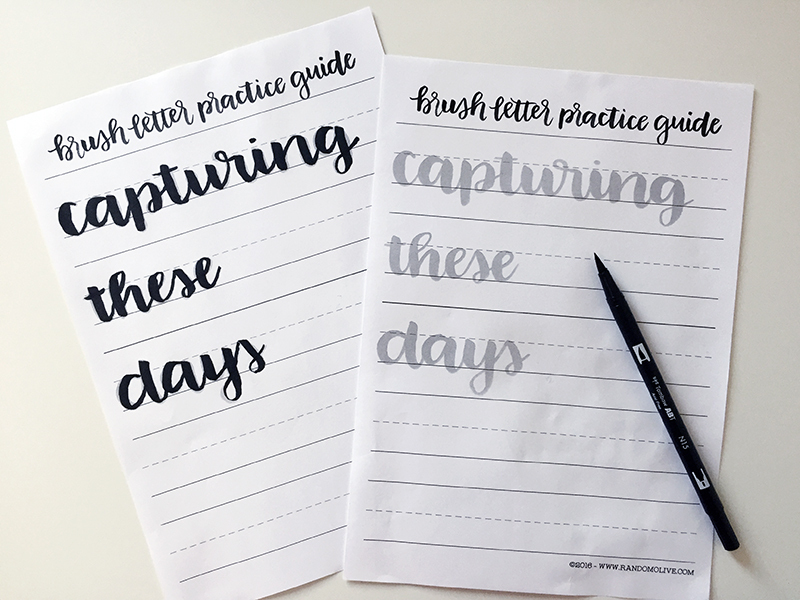 You will need a brush pen (I use a Tombow Dual Brush Pen) or you can you a paintbrush and paint like Emily does herself. 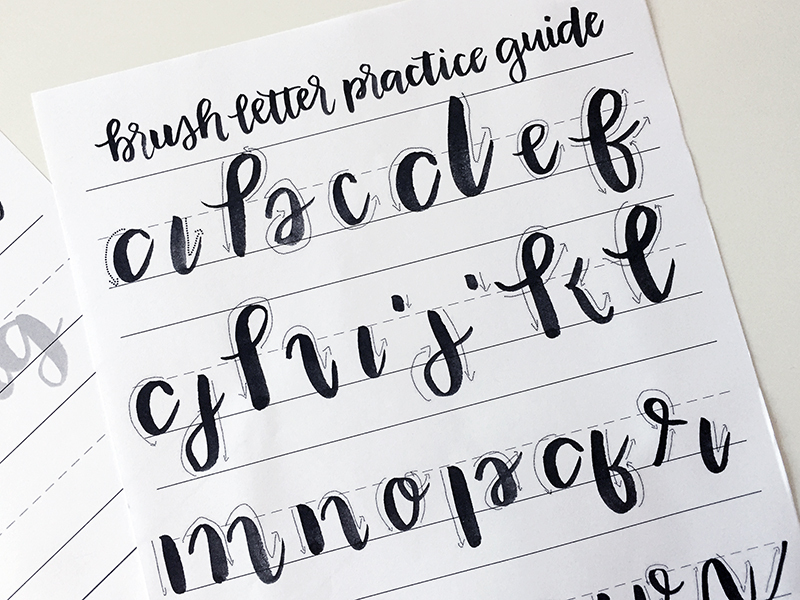 I've been through quite a few copies of the practice guide already, and I feel like I'm getting better each time, although I still have a long way to go! If you are interested in downloading the whole guide (which I would definitely recommend) it is available to purchase on the Random Olive online shop. Olivia kindly let me have a copy of the guide to try out myself, and I am so impressed by it. 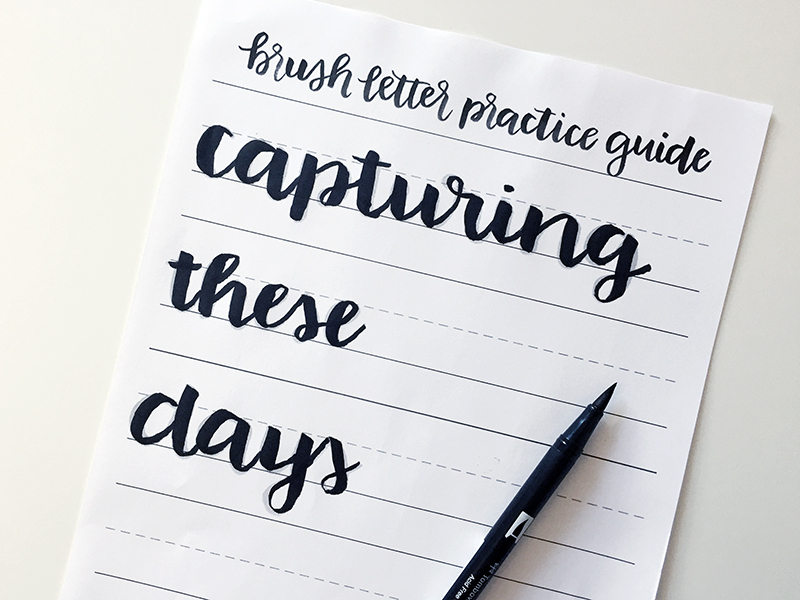 There are absolutely loads of practice guides included, from individual letters, to couplets, and most importantly there are guides to help with the individual brush strokes themselves. At just $32 (£25.60 ish) I think that this set is an absolute steal. It includes so many resources, and you can print them off as many times as you want. I know I will be doing this over, and over, and over again until I properly learn the technique. This set would also be the perfect for a Christmas present for someone who is into bullet journaling or crafts, and provides something a little different to the usual smellies, socks and chocolates that people tend to buy in abundance. 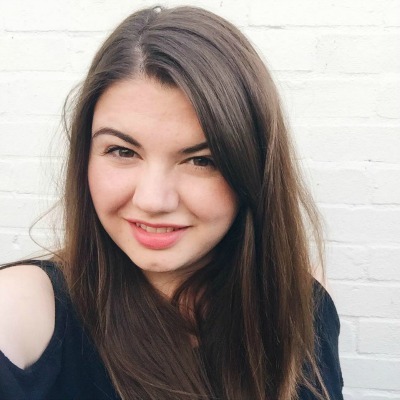 I'd also like to urge you to follow Olivia's Instagram page as she posts lots of photos and videos of her brush lettering. I've found the videos particularly helpful as you can pick up the right techniques from watching them. There are certain letters that I find harder to draw than others, and the videos have definitely helped me with finding the right angle for my hand. Keep an eye out for my bullet journal posts next year as I'm sure there will be some brush lettering in there somewhere! And please do let me know if you use this printable, I'd love to hear how you get on!